A family conceals a cruel secret. Emma Perkins' life appears idyllic. Her husband, Jared, is a hardworking farmer and a dependable neighbor. But Emma knows intimately the brutality prowling beneath her husband's facade. When he sends their children away, Emma's life unravels. A woman seeks her spirit. 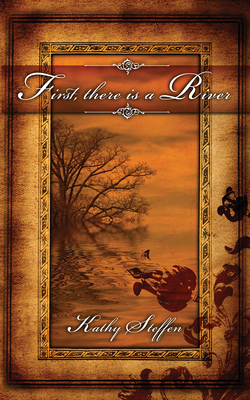 Deep in despair, Emma seeks refuge aboard her uncle's riverboat, the Spirit of the River. She travels through a new world filled with colorful characters: captains, mates, the rich, the working class, moonshiners, prostitutes, and Gage, the Spirit's reclusive engineer. Scarred for life from a riverboat explosion, Gage's insight into heartache draws him to Emma, and as they heal together, they form a deep and unbreakable bond. Emma learns to trust that anything is possible, including reclaiming her children and facing her husband. Jared Perkins makes a journey of his own. Determined to bring his wife home and teach her the lesson of her life, Jared secretly follows the Spirit. His rage burns cold as he plans his revenge for everyone on board. Against the immense power of the river, the journey of the Spirit will change the course of their lives forever. Kathy Steffen belongs to the International Women's Writing Guild, Mystery Writers of America, and Romance Writers of America. She lives outside Madison, Wisconsin.